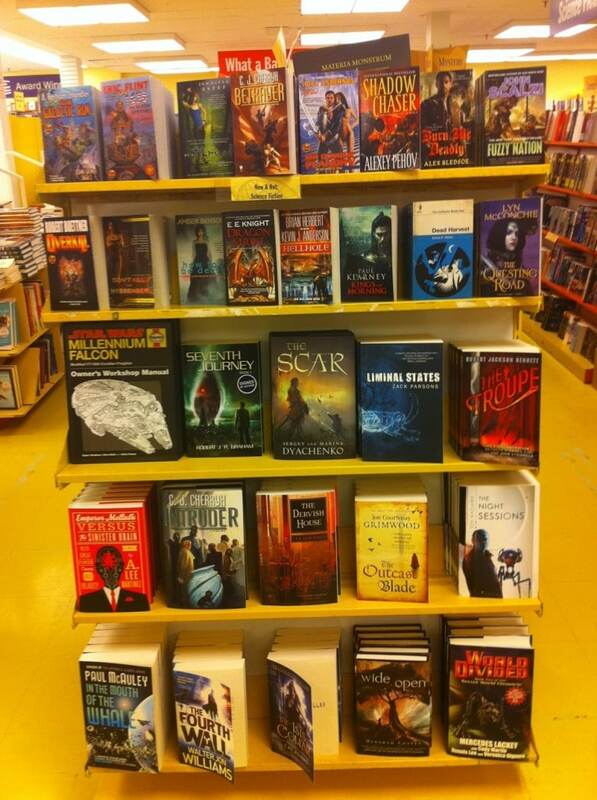 Seventh Journey at World’s Biggest Book Store! Seventh Journey Book 1 is now located down town at the World’s Biggest Book Store! I’d like to thank the staff at World’s Biggest for ordering my book and supporting a local author! I wasn’t expecting them to stock it, so when I searched out my book’s availability in-store, I noticed World’s Biggest showed up! I promptly checked it out the next day, and talked to a couple employees! Just like at Indigo, they asked if I could sign and sticker the book! This must be a standard practice if the author enters the store, which is really cool! I’m pleased to be working with store staff, as they’re so very helpful and extremely accommodating! Thanks everyone! Indigo Book Store! Thank you to everyone who picked up their copy! I really appreciate it! We’re really close to selling out all copies before my book signing, so I’m really happy to see that! It will surely help get my work stocked in other Indigo’s across Toronto, and hopefully more locations across Canada and maybe even the U.S. as well! It’s a dream come true to get to this point, but now the task is to get a foothold in the market, and create even more buzz! Book 1 publicity will roll out over the next 3 – 6 months, where my objective is to create awareness through ads, contests, reviews, and media coverage such as print, radio, or TV spots to discuss the work, the trailer, and the up coming sequel! I’m really excited to have gotten to this point, but I really can’t wait to see where it goes from here. Thanks for reading everyone! Is Barnes & Noble’s Downsizing A Boon For Independent Booksellers?